The perfume that launched a thousand ad campaigns? Perhaps, but Chanel No. 5 has been in continuous production since its 1921 launch, and the company estimates that somewhere in the world, a bottle is sold every 55 seconds. It was the Duke Dmitri Pavlovich of Russia, who introduced Coco to the perfumer Ernest Beaux in 1920 on a trip to Cannes, where the couple visited his laboratory. Originally intended as a Christmas present to her best clients and limited to 100 flacons, Chanel understood the marketability of exclusivity. 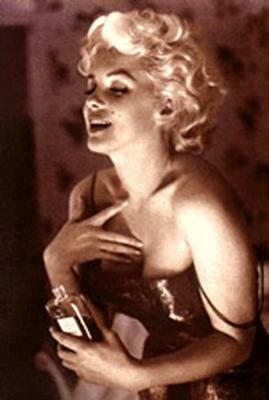 The hard-to-find scent soon became the most coveted perfume for her devotees, and bottles poured off the production line. The bottle’s shape was a departure from the norm, as most perfumes of the time were packaged in ornately decorative bottles shaped as birds, or flowers. Chanel’s art deco minimalism has never been changed, and it is purported that the flacon’s origination was inspired by a men’s toiletry item belonging to Chanel’s only love, Arthur “Boy” Capel. Why the 5? Some say it was the 5th concoction during testing that ended up being the right combination of scents for Chanel’s taste. 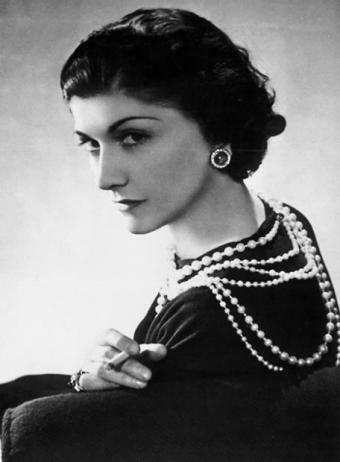 Others insist Chanel herself chose 5 because it was her lucky number — she staged her fashion shows on the 5th day of the 5th month. (This blog entry is dedicated to my first bottle of Chanel No. 5, received last week, and my instaneous infatuation for it). 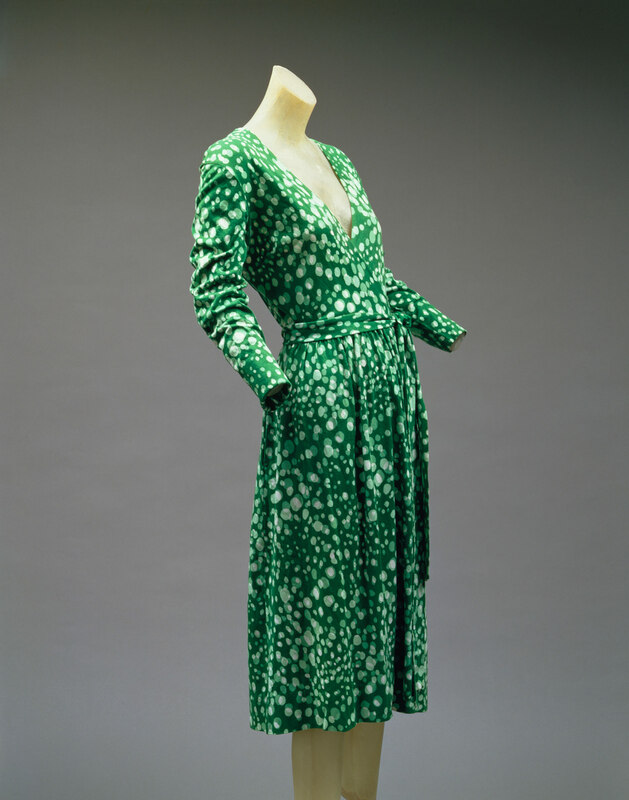 In 1952, Jacque Lenoir and Gaby Aghion opened the house of Chloe with a vision of deluxe, ready-to-wear designs that would epitomize modern femininity. 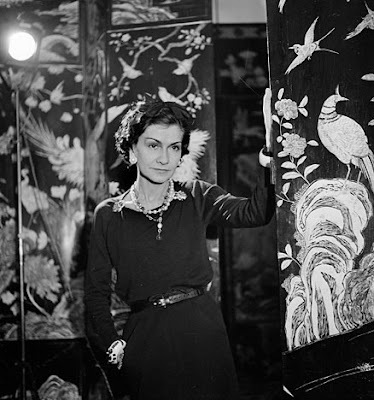 Five years after the introduction of Dior’s “New Look,” the timing was ideal for a new vision in women’s fashion, and while feminine designs have always been the company’s bon mot, the designers for the house have changed the expression of their company’s vision extensively over the past five decades. Perhaps their most notable designer, Karl Lagerfeld, took Chloe in new directions and popularized the line tremendously during his tenure. In the early 70’s, having become the chief designer, Lagerfeld’s “hippie couture” vision of slip dresses, flowy blouses and long skirts brought customers flocking. Lagerfeld left in 1983, but returned in 1992, and his resurgence of hippie couture fit perfectly with the decade’s resurgence in 60’s nostalgia. Using prints that harkened to the bygone era, Lagerfeld’s vision introduced Chloe to a new generation of fashionistas. Upon Lagerfeld’s departure in 1997, Stella McCartney took the position of lead designer. Her distinctly romantic touches such as using antique lace and glass buttons, while still maintaining the sharper lines and modern tailoring consumers craved, brought Chloe back to the hearts (and into the closets) of many. Chloe’s vision was taken into an entirely new evolution of design with the appointment of Paulo Melim Andersson as creative designer in 2006. Andersson describes the new Chloe girl as “angry, but funny-angry.” Whether his vision of Chloe will continue to impress consumers remains to be seen. Jimmy Choo’s journey from Malaysian shoe maker to founder of a multi-million dollar accessories company is inspiring, no doubt about it. In 1961, Choo was born into a family of shoemakers, and describes his ethnicity as part Malaysian, Chinese and Hakka. By 1986, Choo had graduated from Cordwainers Technical College in London, and set up his own workshop in an old hospital building in East London. After an impressive, 8-page layout featuring Choo’s shoes in Vogue magazine, his sales grew exponentially until his marketability sky-rocketed when Diana, Princess of Wales began wearing his shoes from 1990 onwards (as pictured). In 1996, he co-founded Jimmy Choo Ltd. with British Vogue accessories editor Tamara Mellon, but five years later Choo sold her his 50% stake in the company for £10 million. 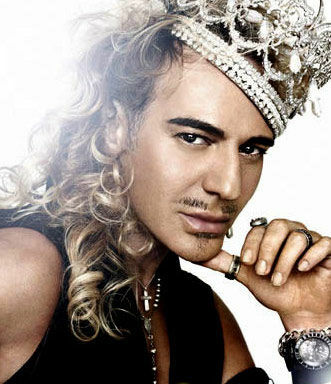 More recently he has focused his efforts on the exclusive Jimmy Choo Couture line produced under license from Jimmy Choo Ltd. The Jimmy Choo London line, also known as Jimmy Choo Ready-To-Wear or, simply, Jimmy Choo, has flourished under the executive guidance of Tamara Mellon, who expanded the ready-to-wear line to include accessories such as handbags to delight fashionistas around the globe. 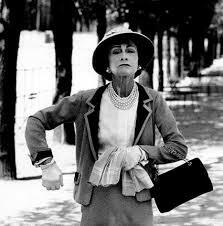 For Chanel devotees, there is one handbag that outshines them all… the flap. 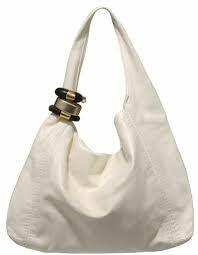 The iconic handbag was first issued in February 1955, and is often referred to as the 255 or 2.55 as a result. Every design element of the original had a purpose behind its inclusion — the lining’s color represented the convent’s uniforms, where Coco spent part of her youth; the chains of the shoulder straps represent the waist chain belts which the nuns kept their keys upon; the leather’s quilting references racetrack boys’ quilted uniforms, and her love of horse racing; she hid love letters in the zippered, interior compartment inside the bag’s outer flap; she kept money in the exterior pocket, and even the “Mademoiselle lock” was named after the unmarried Coco, called “Mademoiselle” until the day she died. In 1983, Karl Lagerfeld took over as Chanel’s Chief Designer, and introduced the interlocking CC turnlock to the bag’s design. 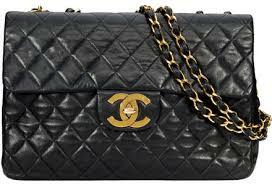 By the mid 80’s, Chanel bags were produced with serial numbers included inside each bag, as a way to discourage counterfeiters. Other major changes during this era were the change from double flap to a single flap, as well as the inclusion of leather woven into the chain links of the shoulder straps. New sizes, and new leathers and fabrics were introduced in subsequent seasons as well. To this day, the Chanel flap remains one of the most recognizable handbags in the world, and is synonymous with timeless elegance and pratical luxury. A classic then, and now. 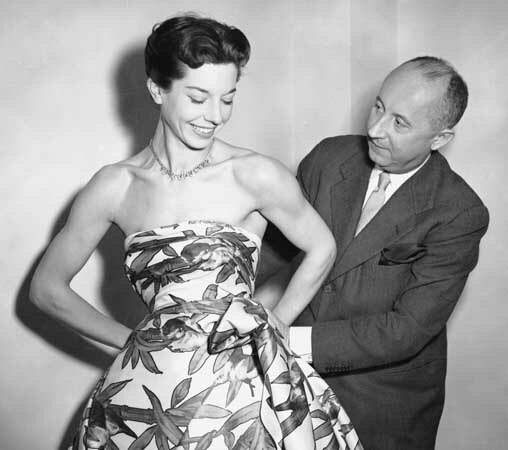 Christian Dior began his career as a fashion designer at the age of 33. By 41, with a $500,000 investment from French textile millionaire Marcel Boussac backing his venture, the House of Dior was created. His first collection, designed for Spring 1947 and named “Corolle” after the flowers that inspired him, featured a drastic departure from the established “Chanel-esque” norm of women’s fashion designs. 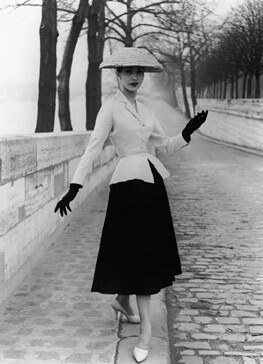 Dior chose a silouhette that was already being explored prior to WWII by designers such as Cristobal Balenciaga and Jacques Fath. However, it would be Dior and no one else that people thought of when seeing designs featuring slender shoulders, nipped waistlines, and voluminous skirts. Breaking away from the rationing of textiles during WWII, Dior created his gowns with sumptuous fabrics, using generous pleating details in his patterns that allowed many yards of fabric to be gathered into just one skirt. 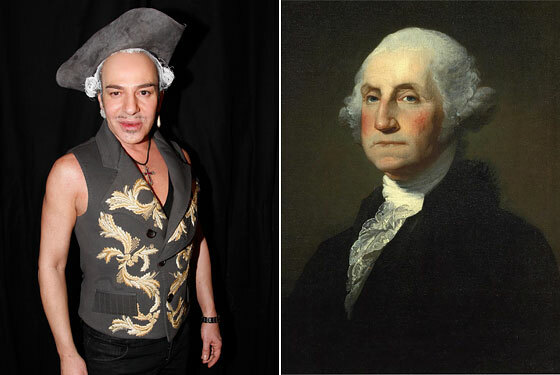 Some applauded his lavish and ladylike design aesthetic as a fresh new approach after decades of Chanel’s menswear-inspired, unstructured silouhettes, while others criticized his extravagent use of fabrics, as well as his reintroduction of the corset as a return to the binding discomfort of a bygone era in women’s fashion. 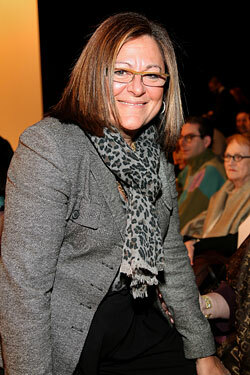 It was Harper’s Bazaar editor Carmel Snow who dubbed Dior’s collection as “the New Look,” and the moniker took hold. While Dior continued to come up with changing silouhettes and hemlines at a dizzying pace for the next few years of his career, the trend chasers bought voraciously to keep up with the freshest designs each season. However, it is his “New Look” that people remember as the catalyst of his stellar design career. It reads like fate, or maybe serendipity, doesn’t it? (Quotes from Daniel Vosovic’s Fashion Inside Out, 2008). 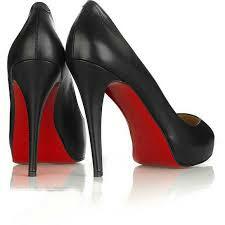 The sight of red soles can send shoe lovers swooning, but how did Christian Louboutin’s trademark look come to be? Louboutin’s inspiration might have been contemporary, but the tradition of the red sole can be traced back to the 17th century court of King Louis XIV. An avid dance enthusiast, the King wore red soled shoes to draw attention to his shapely legs, and once the red soled craze had started, he declared only members of the court were allowed to wear their red soled shoes. Status symbols, from the start!